The Factory was a film destined for failure and Dark Castle studio knew they had a dud upon its completion as its distribution partner in Warner Brothers obviously didn’t want to spend any money releasing to theaters. Instead, it sat on shelves for five years before being hastily dumped on DVD with no features and standard video/audio transfers. Plot Outline: If you don’t find the victim of an abduction within the first 48 hours, you may never find her at all. For Detective Mike Fletcher (JOHN CUSACK) and his partner Kelsey Walker (JENNIFER CARPENTER), that statistic just became personal: his own daughter (MAE WHITMAN) has been kidnapped by a deadly zealot (DALLAS ROBERTS) — and serial killer — whom Fletcher has been hunting down for years. While the clock ticks, Mike becomes an unstoppable force as he races to find a hidden basement dungeon (aren’t they all kind of hidden?) where she faces a horrific fate. Quick Hit Review: There were two major red flags facing The Factory that I noticed. For one, this film, produced by Dark Castle, has been sitting on shelves for nearly five years unable to find a release date before finally Warner Brothers unceremoniously dumped on DVD. The second is the words, “Inspired by Actual Events” displayed after the opening credits. Although there is a kernel of real life this film is based upon, it’s quite small and as with those that have come before, bears little resemblance of the real life case. However, those two instances alone do not a bad movie make and instead we get a meandering plot which I’m 99.9% certain I’ve seen on an episode of “Criminal Minds”, so writers Morgan O’Neill (who also directed) and Paul A. Leyden were not the first to poach the subject. Worse yet, as great of an actor John Cusack is, it seems outside of a scene here and there, it looked like he was bored and a then semi-unknown Jennifer Carpenter (“Dexter” had only been on for two seasons when this was made) is plain bad, though given the character, not sure how much better a veteran actress could have done. The cardinal sin for The Factory isn’t the lack of suspense given we do spend time with victim, played by Mae Whitman, or the utter coincidence that the daughter of the detective investigating the abduction of several prostitutes is kidnapped by the very man he’s chasing, but it’s the really lame and awfully predictable, not to mention ridiculous, “twist” that comes at the end; it was something I saw coming about 60-minutes in and wasn’t very well disguised by the writers, though I’m sure they were patting themselves on the back for it. In the end, The Factory is a waste of time and despite a respectable cast led by a normally reliable John Cusack was a disaster from the get-go and the studio knew it hence being benched for so long. Also, if the number on IMDb is to believed, this had a $25 million budget, if it’s even half that amount, I have to wonder what the studio was thinking. Still, it’s no wonder why it was dumped and in similar fashion, will be forgotten in month’s time. The only “feature” is an UltraViolet Digital Copy download code. 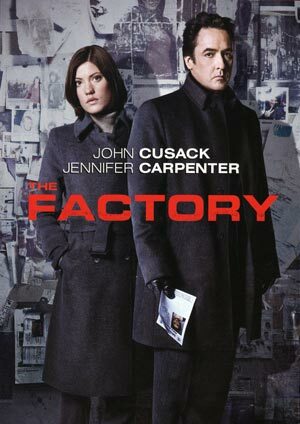 Warner Brothers chucks The Factory onto DVD with a decent transfer. The picture, presented in 2.40 anamorphic widescreen, looks alright showing off only some minor artifacting which is normal for a standard def release. The black levels are stark and when we do get some daylight scenes, the color palette shows off as being subdued and lifeless, although that’s certainly the director’s intent. The Dolby Digital 5.1 isn’t too shabby with some robust moments with nice depth during key “suspense” sequence which kicks in the subwoofer and Mark Isham’s great score shines nicely through the front and rear channels. Overall, The Factory was a film destined for failure and Dark Castle studio knew they had a dud upon its completion as its distribution partner in Warner Brothers obviously didn’t want to spend any money releasing to theaters. Instead, it sat on shelves for five years before being hastily dumped on DVD with no features and standard video/audio transfers. Dud! Stupid plot with a dumb and unbelievable ending. Sat in the vault for 5 years and went straight to video. Sorry, John. No can do. Waste of an evening. 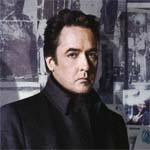 I am never disappointed in any performance John Cusack does. I have not finished the movie yet but plan to tonight. The wife, is not appealing, I agree she should have been played by someone else. Looking forward to finishing this movie and would recommend The Factory to any Cusack fan.